Discover your music listening trends. Is there a better alternative to iTunes Utility? Is iTunes Utility really the best app in AppleScript category? Will iTunes Utility work good on macOS 10.13.4? iTunes Utility...discover your music listening trends. iTunes Utility can do anything from finding the total play count of your entire iTunes library to finding out who your top 10 most played artists are. iTunes Utility is an Applescript that runs from iTunes' scripts menu. 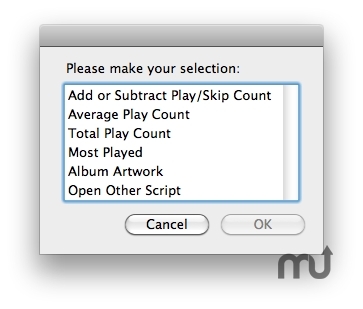 iTunes Utility needs a rating. Be the first to rate this app and get the discussion started!